The BRIO My First Take Along Set is a great gift for ages 18 months and older! 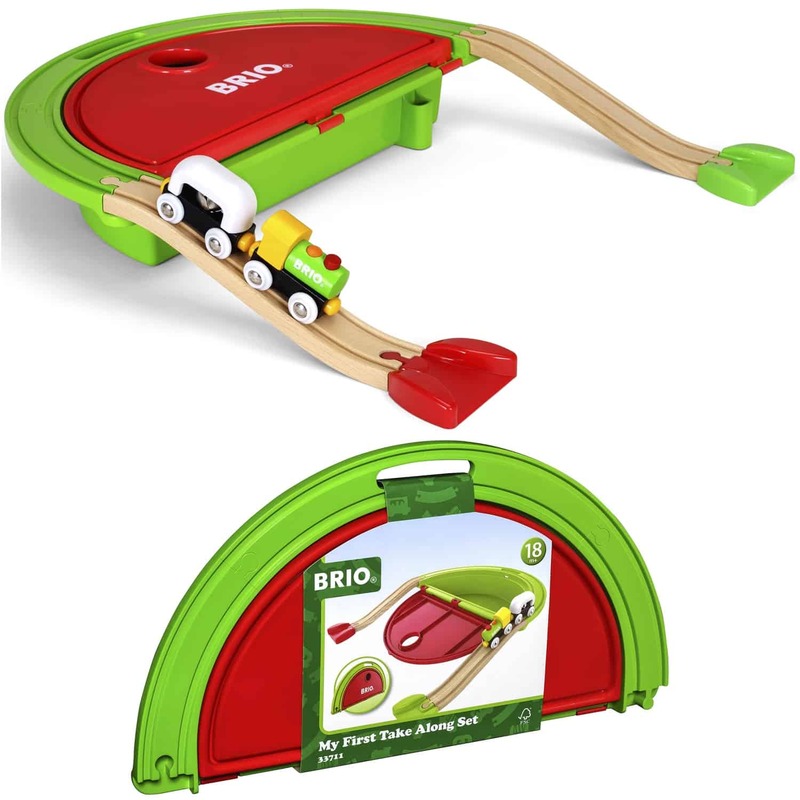 The BRIO My First Railway Take Along Set comes with a handy plastic carrying case for easy traveling and storage. Take it along when visiting friends or grandma and play whenever and wherever you want. Just open the case, lay out the tracks and play! It includes a colorful train engine and a bell wagon. Train tracks are embedded into the carrying case and it also includes two wooden ascending tracks and two patented starter ramps that make it easy for little ones to drive trains up the track. Fun to use and easy to store, this set is compatible with all other BRIO railway accessories, trains and railway sets. We love that All BRIO wooden train pieces are made from 100% FSC-certified solid beech wood from sustainably managed forests and are built to last! Shop for the BRIO My First Take Along Set now!